More Mileage, More Savings, More Vroom! 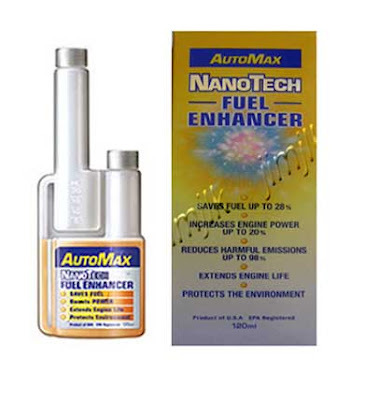 AutoMax NanoTech Fuel Enhancer (NFE) is the only liquid nanotechnology and multi-functional fuel additive that delivers immediate and dramatic results! AutoMax NFE is so concentrated, each bottle (120ml) can treat 600L of fuel. With average fuel savings of 15%, you save 90L of fuel worth RM172.80! Perfect for all types of vehicles and engines - both new and old! Free Shipping to PJ only.